Who can forget the infamous Wicked Witch of the West from the Wizard Of Oz? Now you can recreate her signature style in one of our many licensed costumes. 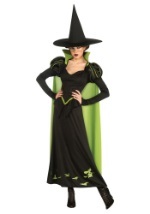 And to accessorize, consider having a friend dress as one of the scary flying monkeys from the movie!